Assam, in Northeast India, has been experienced a long spell of ethnic insurgency since 1979. Yet the state is witnessing a consolidation of peace and stability, (the insurgency related fatalities has fallen from 305 in 2014 to nine in 2018), with ethnic insurgent violence in its last leg. However, the recent arrest of Islamist militants from the state is an indicator that religious militant groups are also trying to find footing in the state, which borders Bangladesh. three individuals, identified as Hizbul-Mujahideen (HM) militants on 14th and 15th September 2018. They were arrested from Hojai, Udali (Nagaon District) and Byrnihat along Assam-Meghalaya border respectively. Reports indicate that the HM operatives were attempting at supplying arms including the AK 47 assault rifles for its operatives in the state. On 18 September 2018, three more people were arrested for links with the Kashmiri insurgent group, from Hojai District and on on 23 September 2018, an HM linkman identified as Abhumanyu Chouhan was arrested from Mosoka . The arrests came soon after a HM militant of Assam origin, identified as Qamar-uz-Zama was arrested by Uttar Pradesh Anti-Terrorism Squad (ATS) on 13 September 2018 from Kanpur. According to reports, he was planning to conduct attack during Ganesh Chaturthi, a Hindu religious festival. Initial reports of Qamar-uz-Zama joining HM had surfaced on 8 April 2018 after his picture holding an automatic rifle went viral on the social media declaring him having joined Hizbul Mujahideen with the codename “Dr Hurairah”. According to his family, he had gone to the United States of America in 2011, returning in 2014 and going to Bangladesh the same year. HM, which became operational in 1989 in Jammu Kashmir with Pakistani patronage, is one of India’s oldest militant groups. The group was formed as a proxy for Pakistan and a counter weight for another militant group Jammu Kashmir Liberation Front (JKLF), which was propagating ‘independence’ rather than accession to Pakistan. HM was established by Master Ahsan Dar as its chief. It was formed as a militant wing of Jamaat-e-Islami Kashmir. Mohammed Yusuf Shah alias Syed Salahuddin has been heading the organisation since 1990. Although earlier the group has a cadre strength of about 1,500, current estimates point at 400 active militants. Security forces in J&K have had a significant tactical success against the group in recent times. According to partial data compiled by SATP, From January 2017 to September 2018 at least 74 HM militants have been killed in J&K, with about 29 HM militants being killed in the first eight months of 2017. Traditionally, Assam’s insurgency landscape has been dominated by ethnic insurgent groups such as United Liberation Front of Assam (ULFA-Independent) and National Democratic Front of Bodoland (NDFB). However, groups such as Muslim United Liberation Army (MULTA) and Bangladesh based Jamaatul Mujahideen Bangladesh (JMB) have also been operating as Islamist groups in Assam in addition to Muslim United Liberation Front of Assam (MULF), Islamic Liberation Army of Assam and People’s United Liberation Front (PULF). According to the Assam Police, the Islamic terrorist groups started appearing in Assam after the Nellie massacre in 1983. During the Assam violence in July 2012, the Central Government identified at least 19 Muslim fundamentalist organisations to watch in connection with violence in Assam. Historically, the most active among these groups were the MULTA, and the People’s United Liberation Front (PULF)]. While the former confines its activities to Assam, the latter operates in Manipur as well. 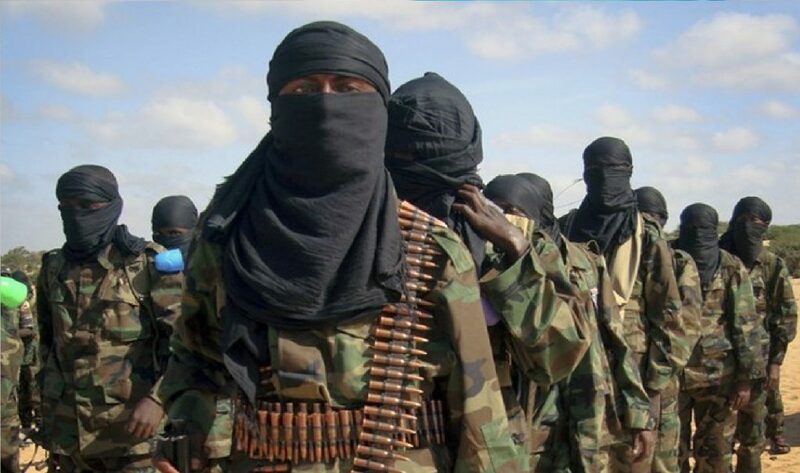 Major global Islamist terrorist groups such as al-Qaeda and IS are also reportedly targeting the region. Notably, at the time of its formation in September 2014, Al Qaeda in the Indian Subcontinent (AQIS) had specifically mentioned Assam as its target, along with Gujarat and Jammu and Kashmir. Similarly, IS in its ‘world dominion map’ has covered Assam among other parts of India. However, there is no visible signs of presence of these formations in the state. The presence of JMB in Assam was exposed after discovery of the Burdwan Module in West Bengal: an accidental blast at Burdwan on 2 October 2014, in which two JMB militants were killed and another was injured. NIA claimed that during the course of investigations, it had been found that operatives of JMB had established their networks in different Districts of Assam, Jharkhand, and West Bengal. According to the NIA Charge sheets, five accused in the case belonged to Assam. The NIA also , JMB operatives ‘were engaged in preparation of bombs, ammunition/arms, maintaining hideouts and organizing terrorist training camps in pursuance of a larger conspiracy to organise terrorist attacks in different parts of India and in Bangladesh’. One of the charge sheeted persons, Lal Mohammed aka Ibrahim, a JMB cadre arrested by Jharkhand Police on 18 April 2015 (the NIA officially arrested him on 27 April 2015), reportedly revealed to interrogators that JMB’s sabotage plans in Assam were to counter Bodo . Reports indicated that MTFA was formed for the massacre of Muslims in the Bodoland Territorial Area Districts (BTAD) in May 2014. In a significant incident, six JMB militants were arrested in back-to-back operations in Goalpara and Chirang Districts of Assam on 25 September 2015. Earlier on 18 September 2015, a JMB training camp was uncovered at Daukhanagar in Chirang District. State Parliamentary Affairs Minister Rockybul Hussain had informed the State Assembly on December 16, 2014, that between January 2001 to November 2014, 130 Islamist extremists, including 106 MULTA militants, 14 Harakat-ul-Mujahideen (HuM), and 10 JMB militants, were arrested in Assam. He also added that between 1995 to 2014, 626 militants of Harkat-ul-Jihad (HuJI), MULFA, PULF and Islamic Security Force of India (ISFI) were arrested. Despite the long list of Islamist militant groups present in Assam the fact that there is indicative of the lack of operational capabilities of such groups and the success . Moreover, given that groups such as Bangladesh-based JMB is using the region more as a safe house to escape crack down by the Bangladeshi authorities than as an operational area, likelihood of Islamist groups pulling of a successful attack remains rather remote. Moreover, with HM coming under pressure in its core area of operations in J&K its ability of expand its area of operation is rather limited. In this light, possibility of more militant groups finding a foot hold in the state is a remote possibility and the detection and arrest of HM cell is unlikely to be a harbinger of a new trend. That being said, arrest of more than 100 religious militants being arrested in the region since 2015 and the fact that Assam has the second largest internet traffic related to Islamic State (IS) (after Jammu Kashmir) is a possible indicator that a segment of population is susceptible to Islamist radical ideology. Although the threat of Islamist militancy has been kept under check by law enforcement agencies, a pro-active effort by authorities to identity and ween away the susceptible population from extremist ideologies is required.